Dailymotion, once an acquisition target of Yahoo, is reinventing itself. Chairman and CEO Maxime Saada announced at the Cannes Lions International Festival of Creativity that his company has signed partnerships with CNN, Vice and Universal Music Group to create high-quality content to target those in the 18-49 age range. New content will focus on four key categories – news, sports, entertainment and music – with priority given to the “freshest” content, short formats and live videos. The platform will also carry exclusive content, we’re told. It’s unclear at this time whether the European video sharing service will charge for its premium content or force viewers to create a free account. Dailymotion says it is also revamping its advertising strategy through the use of less intrusive formats such as vertical in-video ads, vertical pre-roll ads and custom pre-roll ads. That should be welcomed news for the 300 million unique monthly users that visit the site. In the wake of the failed Yahoo takeover, Vivendi scooped up an 80 percent stake in Dailymotion in 2015 for 217 million euros (around $242 million) before eventually gobbling up an additional 10 percent. It’s worth noting that Vivendi owns Universal Music Group, one of the companies Dailymotion signed a content creation agreement with. 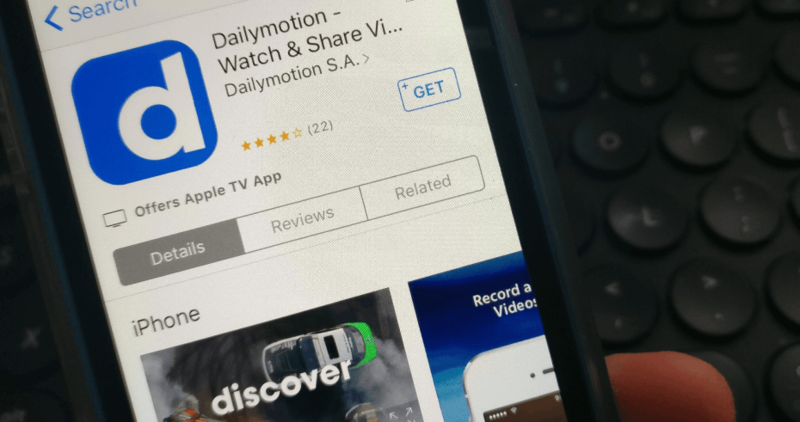 Dailymotion says its app will be available from the App Store and Google Play with a desktop version set to launch on July 5 in France and July 25 for everyone else.